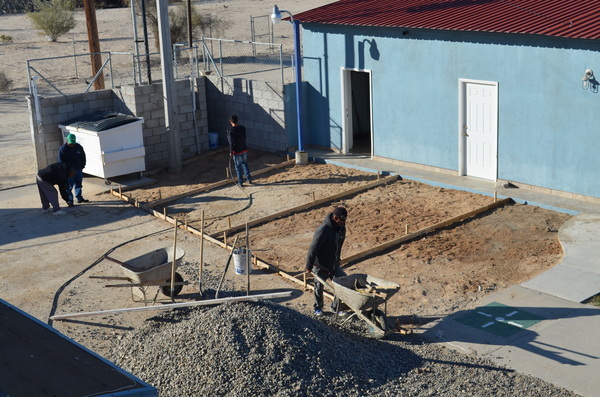 The first week in February was a busy and blessed week for Sonshine Hacienda, and served as a reminder how important our connections are in the San Felipe community. 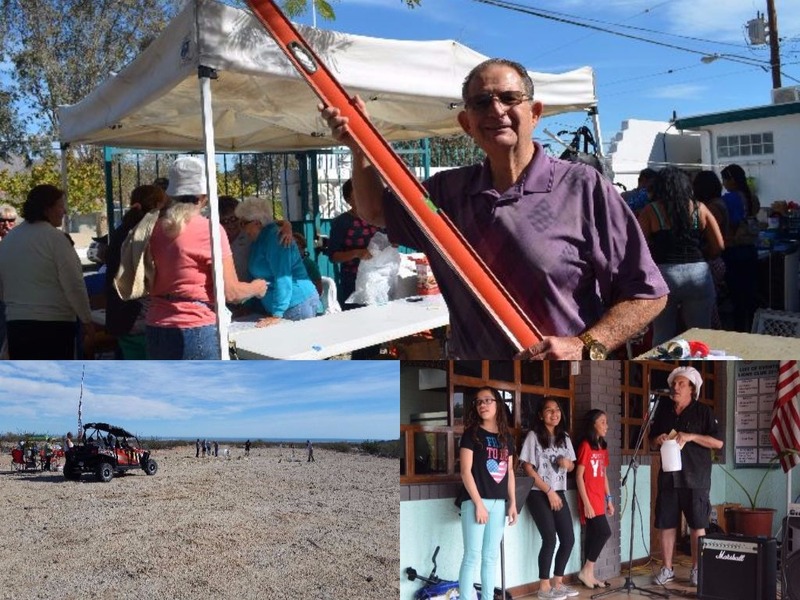 On February 7, the San Felipe Scorpion Club held their annual Fun Day. The Scorpions are a group of individuals with 4-wheel drive vehicles who provide rescue service in the desert. Fun Day is a break from the serious nature of the group, an opportunity to drive through an obstacle course, play bingo, bid on auction items, and enjoy a lunch of fully-loaded baked potatoes. The weather was perfect for this outdoor event, 120-plus people came out to enjoy the fun, and proceeds benefited Sonshine Hacienda. While Scorpion Fun Day was taking place, another group was busy setting up the annual yard sale to benefit Sonshine Hacienda. The yard sale was held on February 9-10 at the home of John and Bonnie Gilbert and 99+1 Ministries. Over 40 volunteers came out to help organizers Dwayne and Darlene Tucker, and even more contributed items to be sold. Year after year this continues to be one of the largest fundraisers for Sonshine Hacienda. To wrap up the week, El Padrino, a local pizzeria and Italian restaurant, hosted an afternoon of music, prizes, and great food on Saturday, February 11, sharing their proceeds with Sonshine Hacienda. We are so grateful for the love that Padrino has for Sonshine Hacienda. We can’t imagine a more loving and supportive community than San Felipe. The week was like one big hug of community support for the children! We believe that ALL of our children have special gifts and talents! 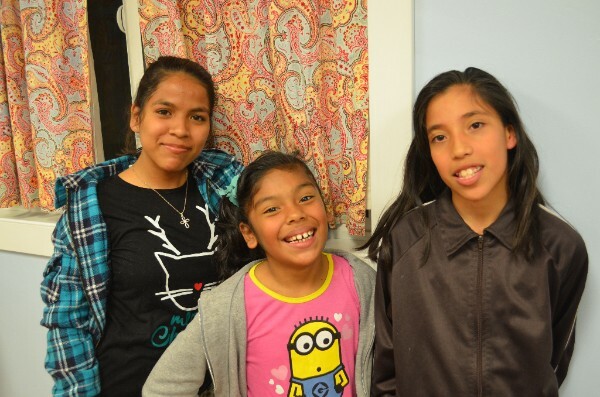 This month we highlight these three young ladies: Alexa, Danna, and Karla. Alexa recently received first prize in a science competition with some of her classmates. She will go on to compete in the state competition at the Children’s Museum in Mexicali in March! Danna received special recognition and had the opportunity to share her talents as a storyteller. Watching her tell her story with such enthusiasm and animation revealed what a truly special gift she has for imagination, public speaking, and creativity. Karla was recognized by the cultural center in San Felipe for her gift as an artist. We were so proud to hear her teachers talk about what a hardworking, dedicated young lady she is, and look forward to seeing her gifts grow along with her! Please join us in celebrating and praying for these incredible young ladies and all that the future holds for them. 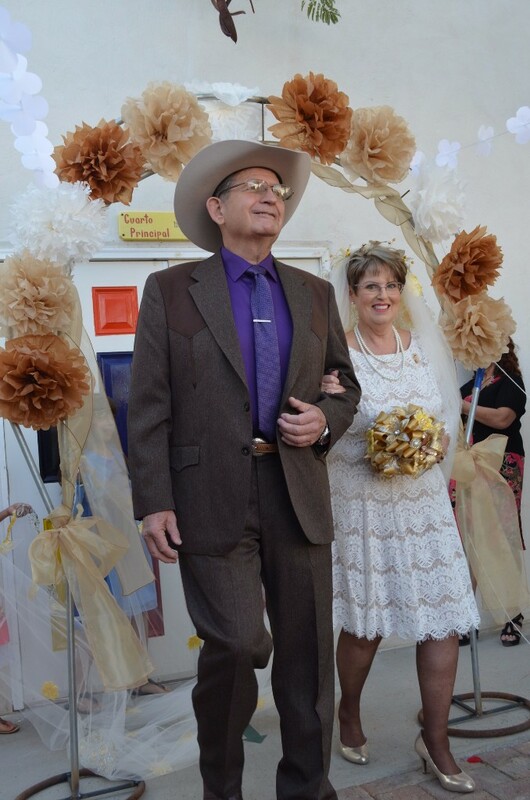 On Saturday, February 4, Sonshine Hacienda directors Gary and Karen Lewis celebrated 50 years of marriage. Quite the accomplishment! The Sonshine Hacienda staff planned and threw a huge celebration and vow renewal for the happy couple. The Lewis’s had the opportunity to reflect on their years together and how God has continued to bless them beyond their wildest imaginations. Sonshine Hacienda would not exist if it weren’t for the faithfulness of this couple. We wish them many more happy years together! The directors and administrators of Sonshine Hacienda make regular trips to Mexicali, to meet with DIF and other Casa Hogars. Regulations are constantly changing and these meetings are opportunities to learn about the changes, take required safety and other training courses, and show our progress. One of the required changes this year was to make our facility wheelchair accessible. Paul and Donna, former missionaries to Sonshine Hacienda, arrived in San Felipe for a visit around the time that we learned about this work. Paul immediately jumped into action and helped prepare the grounds for concrete to be poured for accessible ramps. We had a lovely visit with Paul and Donna, who were amazed at how the children had grown! We are indebted to them for their service to Sonshine, are grateful for their continued friendship, and hope they will return again to visit soon.